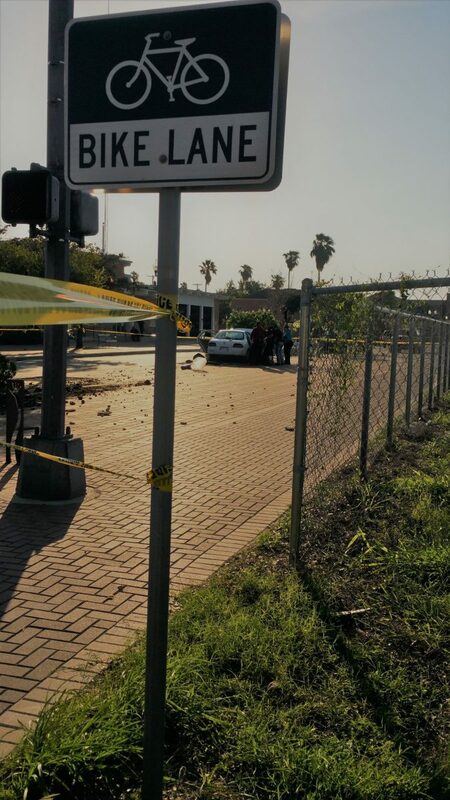 EDINBURG — Police here are investigating a homicide after a man who crashed into a light pole near the Hidalgo County courthouse died from what appeared to be a gunshot wound Monday afternoon. Edinburg Police responded to a report of a major accident near the intersection of 10th Avenue and West McIntyre Street about 4:30 p.m. Monday, according to Edinburg Assistant Police Chief Oscar Treviño. When police arrived, they found a white passenger vehicle had jumped the curb and collided with a light post. When they approached the vehicle, officers noticed the 27-year-old male driver had an injury in his upper torso that was consistent with a gunshot wound. The unconscious Edinburg resident was transported to Doctors Hospital at Renaissance, but died en route. Police remained at the scene Monday evening, where they combed for possible weapons and ammunition with the help of a K-9 from the Edinburg Consolidated Independent School district. Investigators were also reviewing security footage from nearby businesses for clues. Anyone with information is asked to call Edinburg Crime Stoppers at (956) 383-TIPS (8477).